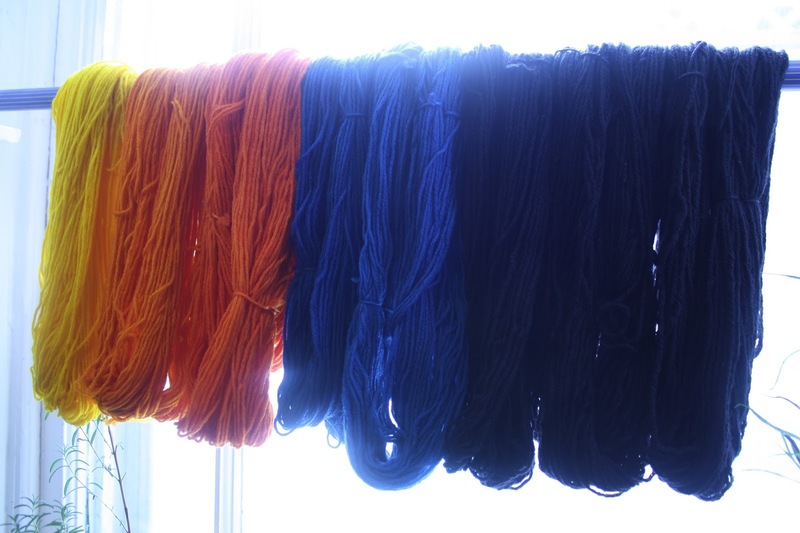 as a dyeing enthusiast with some (debatable) aptitude for the craft, it would be easily assumed that i have a fondness for color. 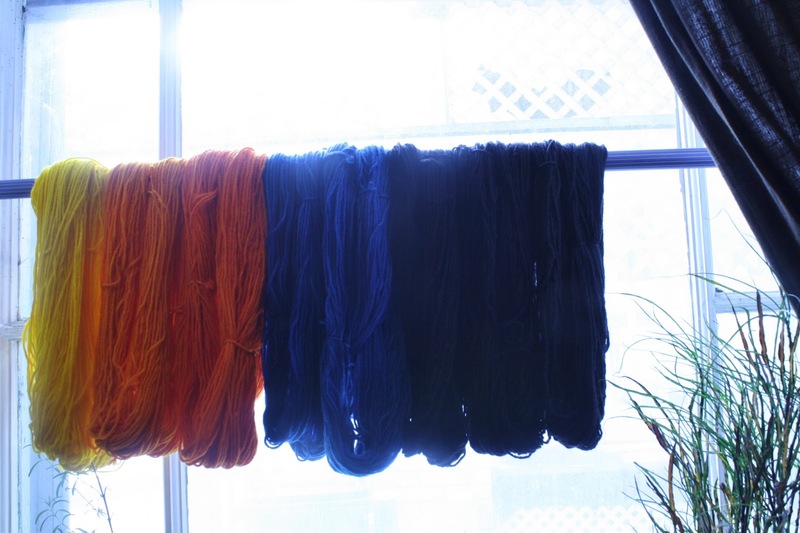 to the contrary, i tend to live life in greyscale, so it took a great deal of willpower to finally go ahead and dye some yarn for my next planned adventure. there i was, yesterday evening, preparing multiple small batches to achieve the necessary palette for a pair of scarves inspired by one small bird... more on that at some later date. luckily, it's arid enough indoors that they were all dry by the time i got out of bed. i draped the hanks across a south-facing window and spent most of today staring at them with equal parts awe and fright. grant it, some of the yarn is black, but the rest of it is not. this is so far outside my comfort zone, i'm not sure how i will cope. don't let the sunshine fool you... it is well below freezing outside. this winter glow is just a clever trick to lure unsuspecting travelers to their doom. it may not be obvious from these images, but this black is black, and a little bit goes a long way. i also knitted up a small swatch (a sample, for the non-knitting world) for a toque for my favorite animator (because it is terribly embarrassing for him to be walking around with a Nike® hat, especially when you can't move in our place without tripping over a bag of yarn). 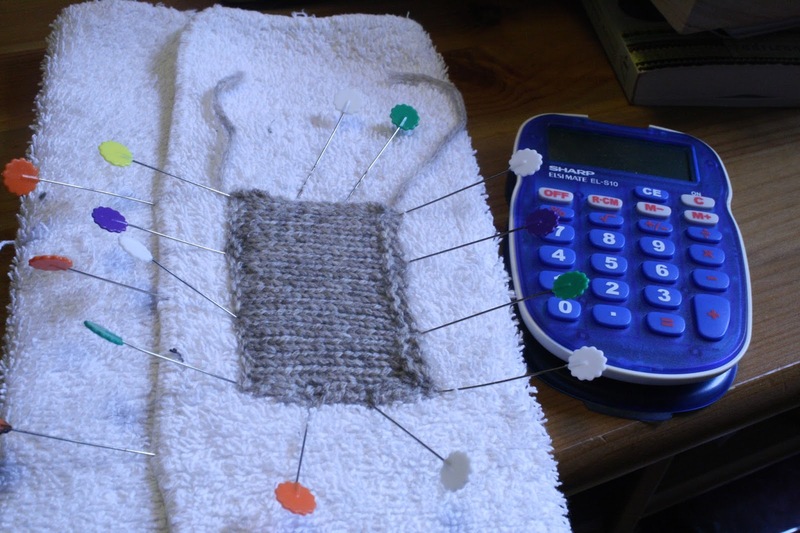 and, as if to prove what a total anachronism i am, i did the math to figure out how many stitches are needed for said headwear using an ancient device known as a five-function calculator (although, this one also has a % button, so it may technically qualify as a six-function model). this was purchased for the grand sum of $5 US, back when i was teaching a summer course in Statistics and my fancy programmable calculator (the one they made us buy back in undergrad for all those Science labs) died on me while composing a lecture, so i purchased the first calculator i found... and it still works! i'm not sure where these froggy pincushions came from, but there are a few of them floating around the apartment. 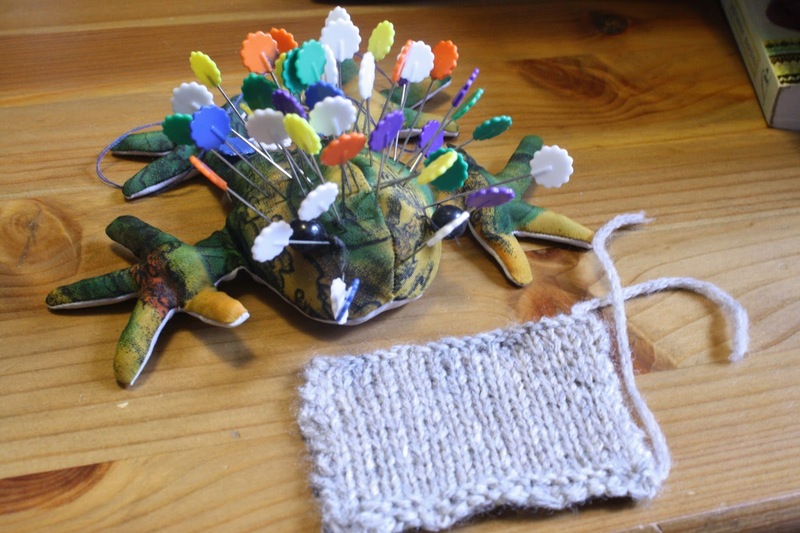 i need to tighten the "eyeballs" before they fall off and get lost, but that involves finding a needle and thread, and... well... that would be far too simple. oh... and i stumbled upon this object on the bathroom floor. judging from the size of the holes, i'm guessing the little grey kitty was involved. 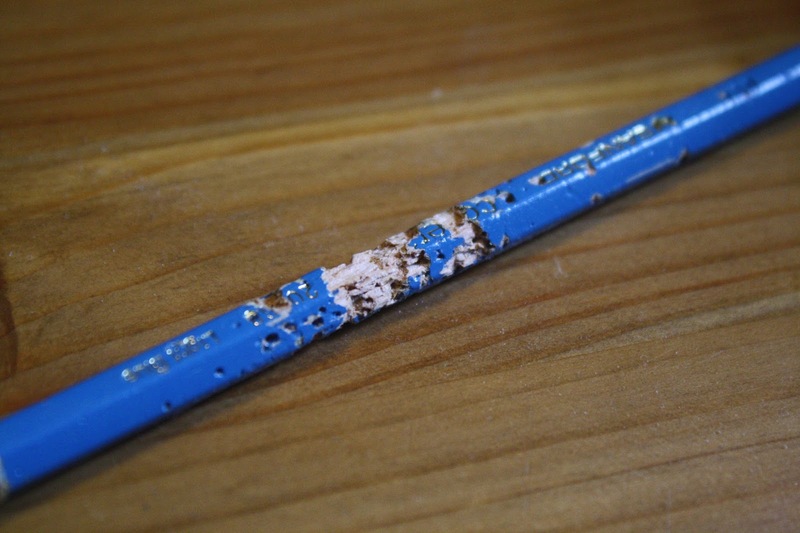 poor pencil never knew what hit it.